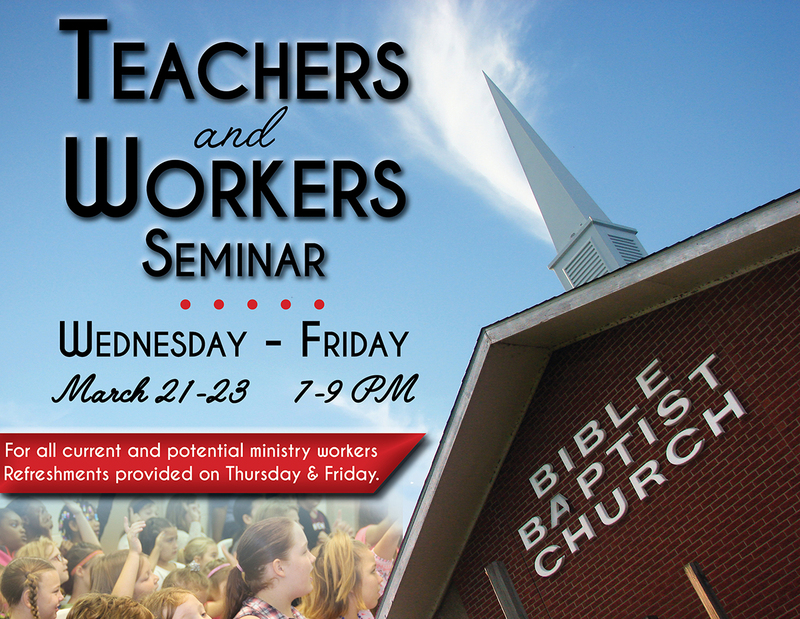 All current and potential ministry workers of Bible Baptist Church are invited to attend this year’s Teachers & Workers Seminar with Dr. Bob Smith. Sessions will be from 7-9 PM on Thursday, March 22, and Friday, March 23 with refreshments provided. You will be encouraged and challenged in your specific areas of ministry. Dr. Smith will also be preaching for our Wednesday night service on March 21, and for both Sunday services on March 25.